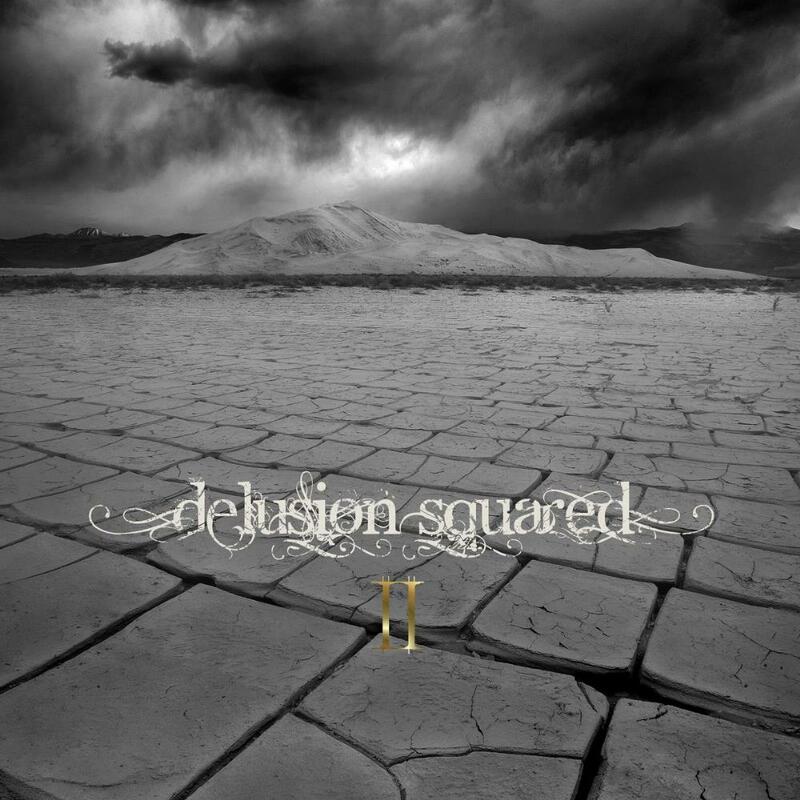 French prog trio Delusion Squared comprises of lead vocalist and guitarist, Lorraine Young, guitarist, keyboard and drummer - Steven Francis and bassist/keyboardist - Emmanuel de Saint Meen. Their debut release embraces many elements to their music which crosses a few genres. There are hints of metal & eclectic, but mainly crossover characteristics. Their first album release benefits from a slick production and carries a great sci fi theme making it an interesting conceptual work.A promising new artist worth listening to and keeping an eye on. It is always nice to be contacted by a band through PA, as not only am I always pleased when a band is making an effort to get their music out there, but if they have contacted me then it means that they have read at least some of my reviews and feel that I may enjoy their music. 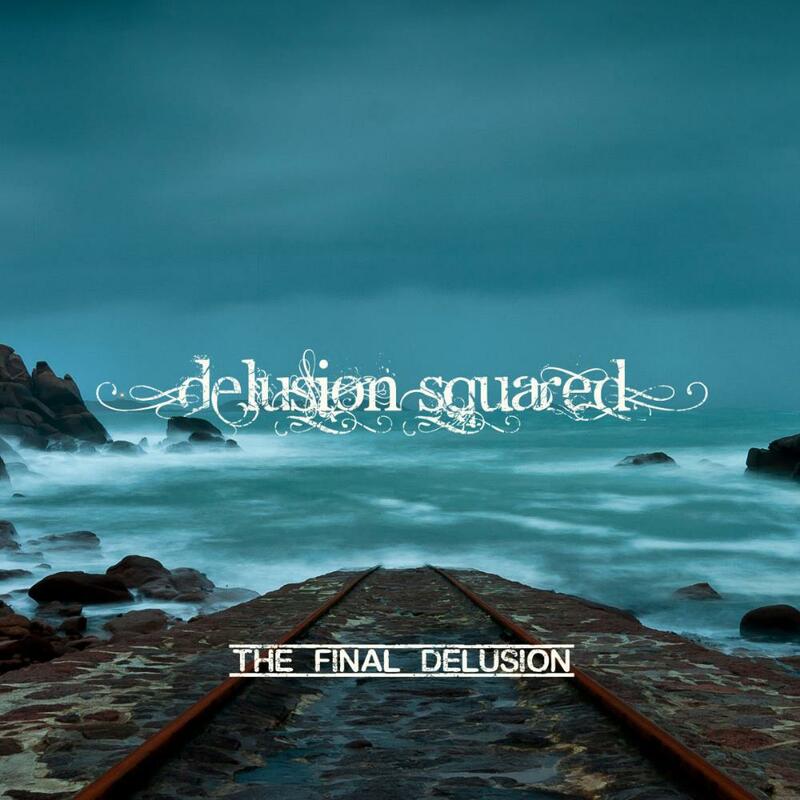 That is definitely the case here, as Emmanuel de Saint M'en (bass, keyboards & backing vocals) thought that I would be interested in the fourth full-length album from him and Steven Francis (guitars, vocals, drums & additional programming), who go under the name Delusion Squared. Apparently the French band was formed in 2009, but this is the first time I have come across their wonderfully delicate take on prog rock. The whole approach is that of gentleness, harmony, beauty and fragility. This isn't music to be amplified into the school, making its way in by force, but instead looks for the breaks in the psyche as it moves into the brain and gently takes up residence. Both melodic and crafted, this is crossover prog at its best, bringing together Alan Parsons Project, No Man, the softer side of Porcupine Tree together with harmonies that one might better expect from the likes of Simon & Garfunkel. There are rock guitars, but they are there to provide just the right amount of dynamics. Overall, It is light, and a quite different approach to much of the music that is currently in the scene. This album is one that can be played repeatedly, and each time the listener will sit there with a smile on their face. At least I did. Review # 87. If I want to be honest, I must say that I had no idea about this band 'till a week ago. Then I saw their album climbing at the Prog Archive's album charts and I became curious to learn more about them. I can't compare this album with any of their previous works, because I don't know them, but I must say that I'm pleased with this first 'touch'. Their style is rather melodic and soft, the vocals are very good, (they sing in English), their compositions are very interesting, and the overall outcome is satisfying, to say the least. Their music consists of soft melodies, beautiful guitar passages and solos and some keyboards that adding a sci-fi feel to the album. 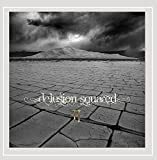 French band DELUSION SQUARED was formed back in 2009, and in their initial phase as a trio they released three concept albums that was met with quite a bit of positive acclaim. Following a few years of silence the band is back this year as a duo with a new album, "Anthropocene". Like their previous CDs it was self released by the band. 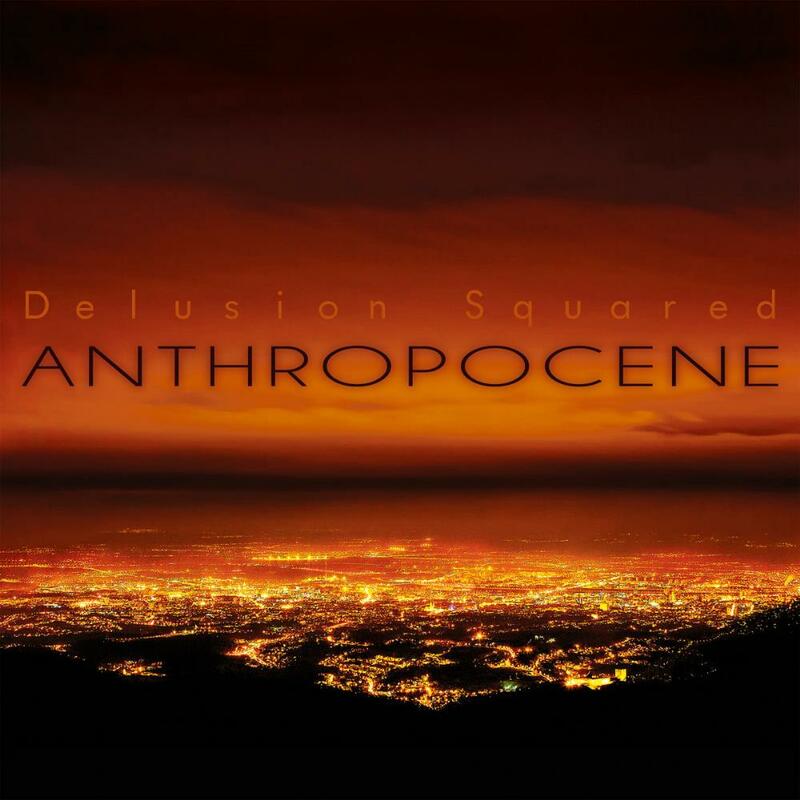 Fairly gentle, atmospheric laden progressive rock is what Delusion Squared provides us with on their fourth studio album "Anthropocene", a production that carries some similarities to the gentler sides of Porcupine Tree first and foremost, and otherwise crafts out it's own nice, little niche in the more atmospheric laden parts of the progressive rock universe. 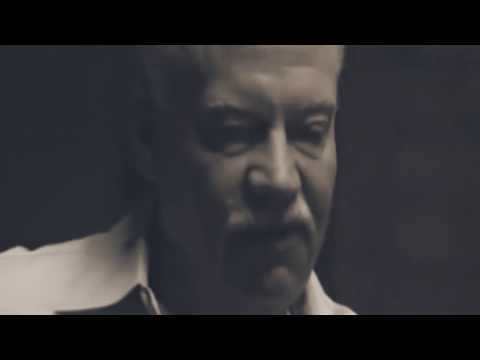 One to seek out by those who favor Mr. Wilson when in a gentle mood, and has a desire to encounter more music made with a similar rather than exact manner. Delusion Squared is a cross prog music trio from France. Founded in 2009, it has some metallic and eclectic shakes. In simple terms it is a fusion. The first special project was the 2010 "Delusion Squared" with some science fiction elements, and their team name "Delusion Squared" is also appropriate. 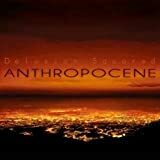 This year's Anthropocene (meaning "The Human World") is their fourth album (the first three are a trilogy about doomsday, mind control, genetic experiments, nuclear explosion, etc.) and its concept is about the future. Humans, because the resources of our planet are limited, then for humans, is the outcome extinct or something else? The voice of the vocalist can be said to be more charming. Although it is popular but sounds very comfortable, the style of music I feel is like a replica of Porcupine Tree with some vintage and classical elements, making it sound modern and smooth. It also joins certain electronic music to predict this sci-fi feeling. The melody is quite beautiful atmosphere, heavy guitar solo improvisation or atmospheric synthesizers are deeply attractive. It sounds pretty good, in my opinion worthy of an evaluation of at least a 4.5 stars. Highly recommended! Delusion Squared is a trio of cross trio from France. Founded in 2009, it has some metallic and eclectic shakes. In simple terms it is a fusion. The first special project was the 2010 "Delusion Squared" with some science fiction elements, and Their team name "Delusion Square" is also appropriate. This year's Anthropocene (meaning "The Human World") is their fourth album (the first three are a trilogy about doomsday, mind control, genetic experiments, nuclear explosion, etc.) and its concept is about the future. Humans, because the resources of our planet are limited, then for humans, is the outcome extinct or something else? The voice of the vocalist can be said to be more charming. 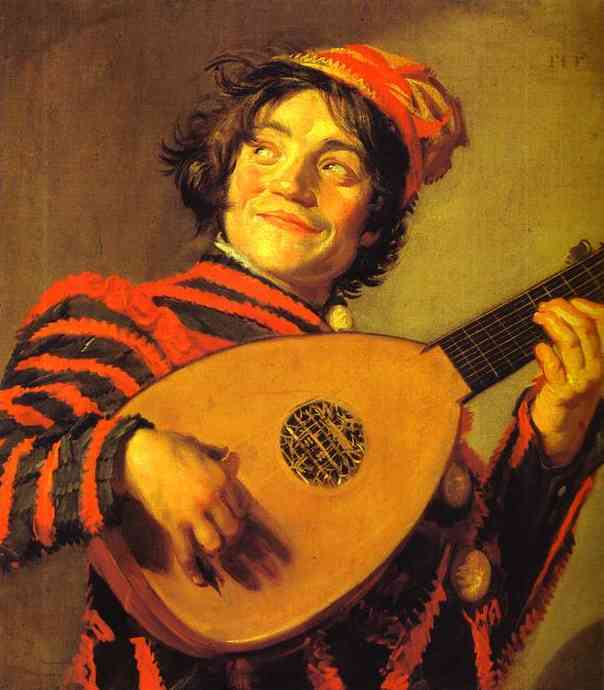 Although it is popular but sounds very comfortable, the style of music I feel is like a replica of Porcupine, but it lacks some vintage and classical elements, making it sound modern, smooth and comfortable. It also joins certain electronic Music to predict this sci-fi feeling. The melody is quite beautiful atmosphere, heavy guitar solo improvisation or atmospheric synthesizers are deeply attractive. It sounds pretty good, in my opinion worthy of an evaluation of at least a four-star, may also need to study after the inspection, combined with their first trilogy together, highly recommended! French trio DELUSION SQUARED is a comparatively new band, formed back in 2009 and released their debut the following year. Since then an album has followed every two years. "The Final Delusion" is their third full-length production, self-released in 2014. The fairly gentle material that dominates this album, paired off with controlled, harder-edged impact sequences and occasional compositions with a dominant hard-edged sound, is one that should invoke quite a lot of interest by those who come across this production. A certain affection for female lead vocals is required of course, and then for vocals that are characteristically careful and with a strong feeling of innocence to them. Those who enjoy the gentler sides of a band like Porcupine Tree appears for me as a key audience for this CD, and especially those amongst them with a taste for futuristic sounds and science fiction based concept albums. 3½ stars really. 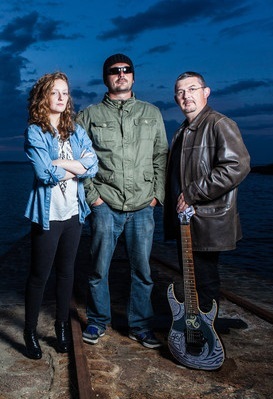 DELUSION SQUARED is a French trio consisting of Lorraine Young (vocals, acoustic guitars), Steve Francis (guitars, drums) and Emmanuel de Saint Méen (bass, keyboards). I was kindly asked to review this new album that finishes a trilogy. Crossover Prog with female vocals is something I can easily warm up to, and listening to some YouTube clips convinced me I would most likely enjoy their music. The 73-minute, 13-track conceptual album is divided into four sections: Ordeal, Awareness, Deliverance and Surrender. At first the music sounds like slightly hard-edged, commercially oriented mainstream pop (up to Lorraine's voice), except that the energetic opening instrumental - distantly reminiscent of synth-era RUSH - wouldn't be completely out of place on an IQ album for instance. During the fast track 'Diaspora' my spouse came home and wondered which pop/rock radio channel I was listening to (against my habits!). That's revealing about the sound, but to my relief the sense of blunt consumer pop decreases notably on the course of the album. This is helped by bringing in some softer nuances and acoustic elements. However the overall production could be less tight and poppy, as we're speaking of a prog album after all. Some rather annoying effects (machine beeps, spoken words, etc.) are placed between some songs. These may be carefully thought up to support the concept; too bad I actually fail to form any coherent "story" in my mind. Listeners familiar with earlier parts of the trilogy probably are better on the map in the first place. My personal musical highlights include the atmospheric 'Last Day of Sun', the calm 'By the Lake (Dying)' and the sorrowful second instrumental 'Persistence of Vision'. In other words, I prefer the more delicate side with acoustic guitars and moody synth layers, moments where e.g. 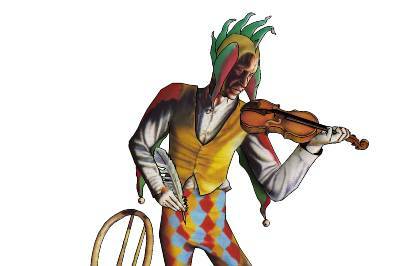 PINK FLOYD and MARILLION are closer comparisons than the pop you hear in fast food restaurants. Anyway, I believe this album (or preferably the trilogy as a whole) is a grower when one gets deeper into it in various levels. The third Delusion Squared album, `The Final Delusion', will hopefully be anything but that, as the French three piece offer their most fulfilling, varied and exciting album to date and have so much more promise to build on from here! The band, led by the distinctive and charmingly accented Lorraine Young (singing in her best English so far), alongside Steven Francis (guitars, drums) and Emmanuel de Saint Méen (bass, keyboards), offer a mix of contrasting acoustic and electric passages, punchy and sleek Rush-style heavy prog, Porcupine Tree-like emotional acoustic flavours, the sombre gloom of Paatos and a dash of introspective indie pop, with the emphasis on melodic vocal driven songs and only carefully tightly framed instrumental moments. The band will likely appeal most to fans of the more modern takes on progressive music, as there's very little vintage or retro influenced sounds throughout. 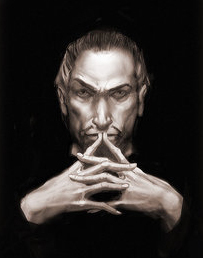 The ideas behind this concept work are certainly a lot to dwell on and ponder. 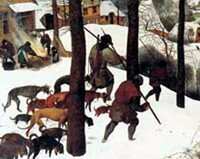 Mind-control, gene experimentation, torture, modern warfare and mental manipulation all feature, with frequently dreamy and surreal lyrics that move backwards and forwards through different time frames. Even with little moments of bridging interludes of conversations between and during tracks, following the story can be quite confusing, and the CD booklet only offers help in the form of some cryptic leaked (and I'm assuming mock?!) government documents. I hope I've been able to grasp the basics of the concept of the album, otherwise the guys and gal of Delusion Squared are welcome to contact me and set the record straight! Immediate attention must go to Lorraine's shrieking gasp over a battery of storming drums that opens the first proper track `Diaspora', it instantly makes you sit up and take notice, wondering `What are we getting into here?! ', as well as showing off the confidence of the band. Nice soaring chorus on that one too! Lorraine also supplies plentiful delicate acoustic guitar throughout the disc, full of warmth in even the most melancholic moments. There are nice varied electric guitar approaches and reflective piano throughout `Reason of State', beautiful use of feedback-drenched electric wailing and distorted synth on `Devil Inside'. `Finally Free' sees the acoustic and electric guitars racing alongside each other in a late Porcupine Tree manner, some hazy ambience throughout the ethereal synths of `Last Day of Sun', and the mix of lilting acoustic guitar and orchestration on `By The Lake (Dying)' is impossibly heartfelt. Thick snarling metal tears through `Oblivion for My Sin'. You also get driving instrumentals like album opener `The Same River Thrice', full of heavy riffs, constant powerful drumbeats and pulsing Neo prog influenced synths, `Persistence of Vision' instead builds atmosphere by way of Post-rock chiming guitars and thick murky bass. `Deus in Machina' closes the album with soaring orchestration, victorious guitar soloing and a rising vocal that displays defiant human spirit and true heart. Without a doubt, thirteen tracks is probably far too many, and several of the pieces have quite a similar sound. However, once you become more familiar with the whole album, it has a great flow and you won't notice the lengthy running time so much. Some will find Lorraine's thick accent difficult, but I think she has real character and great spirit. 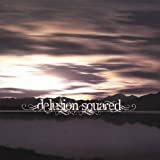 Fans of the later Porcupine Tree albums and modern female fronted prog bands should look into Delusion Squared right away, and in some ways, the group are a much deeper and more complex version of acts such as Touchstone and The Reasoning, maybe even a gutsier, less vintage based Magenta. `The Final Delusion' is a triumph for melodic vocal driven modern prog that places emotion, melody and subtlety over flashy extended bloated soloing, and the trio should be immensely proud of their efforts here. This is definitely a grower, as were the previous opus, highly recommended! Things rolled quite fast for Delusion Squared, a French trio found in 2009 by multi-instrumentalists Steven Francis and Emmanuel de Saint Meen and female singer/acoustic guitarist Lorraine Young, determined to make an impact in the prog world.In September 2010 the group launched a self-titled debut CD, released as a private self-production.It unfolds around a concept story about a young woman, living in a post-nuclear technological world, where she decided to give birth to her baby naturally, disregarding the current gene rules and at the end found guilty of gene piracy. Musically the album is divided into four sections, strictly connected to the concept story, where the modern approach of Delusion Squared changes between smoother and heavier moments, depending on the needed mood and flirting with the likes of PORCUPINE TREE, IOEARTH or FREQUENCY DRIFT.The first two sections of the album seem to be the more balanced and pleasant.The tracks have a great atmosphere, based on Lorraine Young sensitive vocals and the compositions are well-crafted with very good rhythmic electric guitars, a fair dose of acoustic passages, while the slight guitar distortions and the use of electronics and synthesizers make the sound richer and even more attractive.The closing two sections are significantly softer, obviously inspired by the storyline of the concept, but get dangerously calm compated to the first half of the album.These tracks recall the most mellow moments of KARNATAKA or PAATOS, sounding more melodic, but lacking the great energy of the opening ones.Too much acoustic material and too much piano with very limited electric moments, but they still sound pleasant with some fantastic instrumental parts contained. 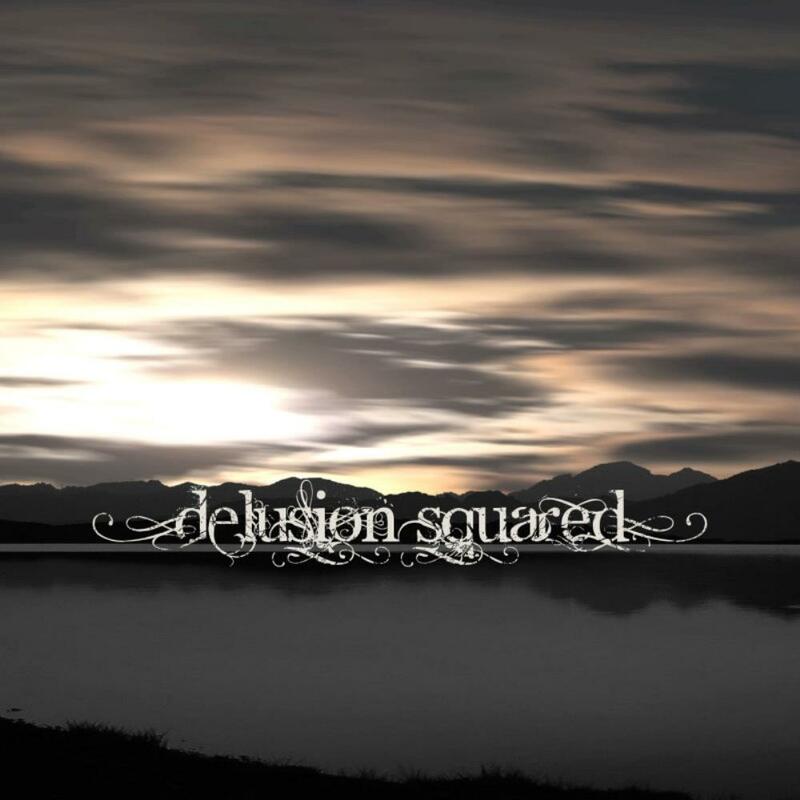 Delusion Squared's debut leaves great promises for the future.A talented modern Prog trio with interesting ideas, both regarding their music and their concept stories, in need of finding a slightly more balanced sound.Warmly recommended.